Chilli sauce handmade in Cornwall. Use Hell's Mouth sauce on fried fish, seafood and chicken. This gourmet pepper sauce will add zing to hotdogs and hamburgers. Try it at the BBQ with steaks or sausages. 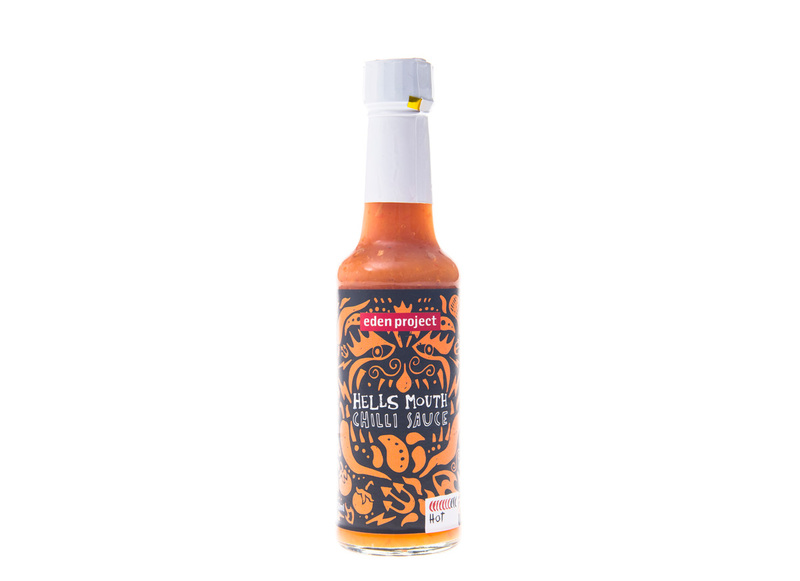 Hell's Mouth chilli sauce is made from fresh scotch bonnet chillies. Hell's Mouth is named after a local hot spot here in Cornwall. Both have acquired a certain reputation for being a bit dangerous. Spirit Vinegar, Tomatoes, Hot Chillies (14%), Carrots, Onion, Garlic, Water, Sugar, Salt.